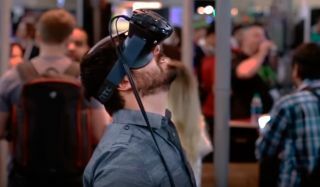 Back at PAX South we got to speak with Omar Faiz from the technical marketing side of AMD (which also sponsored our PAX coverage) about virtual reality, how far it's come since the first Oculus Rift dev kit, and what he expects for the future. We're excited about the first consumer VR headsets, but it's fair to be cautious of buying in early when you look back and see how inferior Oculus' DK1 is compared to the current model. Faiz thinks VR is ready now, with the first iterations of the Oculus Rift and HTC Vive coming out this year—see what he has to say in the video above, and let us know what you think about this first round of headsets in the comments.